Contact the owner at 646-220-four three three four...Excellent condition. Twin 110hp engines only have 32 hours. 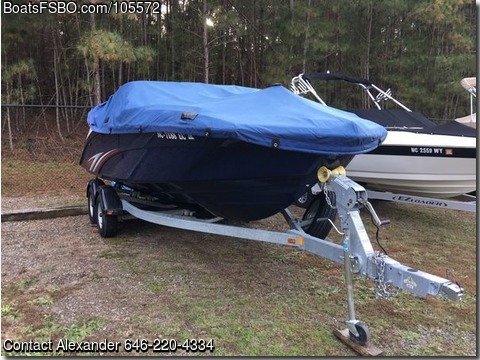 Includes Shoreland’r braking trailer, Bimini top, custom cover, Clarion radio with smartphone connection, water skis,ski line, 4 bumpers, 2 anchors, 6 dock lines, towing tube with tube line, manual, flares, horn, whistle, several noodles, 9 life perseveres, fire extinguisher, boat hook pole, and 2 floats.